I’m glad I read Deceived first; I read Crosscurrent, which I found myself checking to see if it was the same author. The only thing that I can say about Crosscurrent was that though I’m a physician with a high tolerance for gore both in real life and literature, I started Crosscurrent eating a dinner that I had to throw out because of the imagery. Not a doctor but having worked in college as a veterinary technician, and not easily grossed out, I too had found the gore a bit overwhelming in Crosscurrent. Between the gore, the violence, and the utterly male-centric world that Kemp created in his first book, I had to be cajoled into reading Deceived. It reads well enough, although it still wasn’t what I’d choose to pick up from a bookshelf. (Lex liked the book more than I did, and I probably would have had him write the Deceived review if Linda hadn’t volunteered hers.) Among the many female Star Wars fans I know, the ones like Linda who wanted to read Deceived make up a very small percentage. On the matter of the violence and gore, I initially hedged on reading The Hunger Games because I worried a story about children killing one another would be too violent. As it turns out, Suzanne Collins’ books manage to portray the horrors of war without searing your eyes out with graphic violence. I think it’s possible to find a better balance than what was depicted in Crosscurrent. Of course this is just one woman’s opinion, but in light of the hesitation from the female audience to embrace the movie-version of Girl with the Dragon Tattoo due to concerns over the level the violence was taken I think it’s at least fair to bring the topic up for consideration. 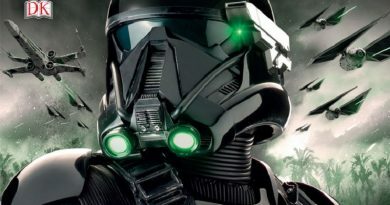 In her Fictional Frontiers interview a while back, Shelly Shapiro noted that she didn’t want Star Wars novels to just be considered as tie-in books, yet the recent slate of Star Wars books has seemed to be hanging its hat on the tie-in hook both in the type of books and in the author selection. 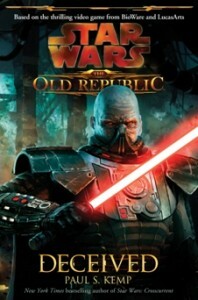 Frank Parisi noted in our interview that books like Revan, Deceived, and the Darth Bane trilogy have done well, and I understand why they want to continue with a successful run. As I see it, though, many tie-in writers are still stuck in the mindset of appealing to the male masses, whether it’s the Dungeons & Dragons crowd or videogamers. Even Christie Golden, a female writer known for her tie-in work with World of Warcraft and Starcraft, acknowledged that her writing appeals to young men more than women. Honestly, I see a chance with these tie-in books, and for authors like Kemp, to start thinking about how they craft their in-story universes, including whether they’re truly gender balanced and if they’re portraying female characters based on the existing cultural mindset of the gaming world. 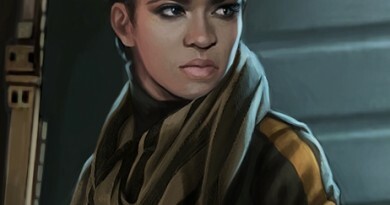 Those questions have been hotly debated at TFN Lit across numerous threads since Revan was released, and there was talk at the time of its release about the quality of the development given to the female characters in discussions threads about Deceived. By the way, it’s not just women noticing the lack of balance. According to Jim Ryan, an executive for Sony’s European Playstation division who recently spoke about the upcoming release of the Vita gaming system, the “untapped holy grail” for the gaming market is the female audience. It seems to me that tie-in books could be that much more successful if they tried to appeal beyond their core demographic. 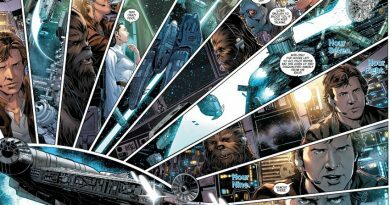 With that said, if you like Sith, revenge-bent Jedi, and a character-driven story, Deceived is pretty good. It even got a brownie sundae rating in Linda’s review.